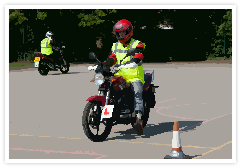 This course is compulsory, by law, for all new motorcycle riders, with the exception of moped licence holders. It aims to teach machine control and bike craft, requiring riders to demonstrate competence in on-site and on-road situations. 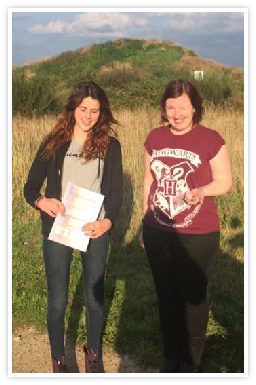 The cost of this course is £110 with equipment and bike hire, but is also included as part of the other courses that we offer. When you have satisfied your trainer of your competence in a particular level, then you progress to the next. There is no formal test, but completion of the course results in a CBT certificate. All our instructors are certified by the Driving Standards Agency (DSA) and all have many years experience in delivering motorcycle instruction. 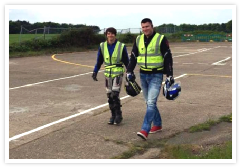 This is a great introduction to motorcycle handling, aimed at those who have not ridden before. Individuals are given the opportunity to build their basic skills and confidence in preparation for the actual CBT course, in a no-pressure environment.